The Lone Bellow, A Trio Built On Harmony And Trust Brian Elmquist, Kanene Pipkin and Zach Williams talk with NPR's Rachel Martin about their new album, Then Came the Morning. 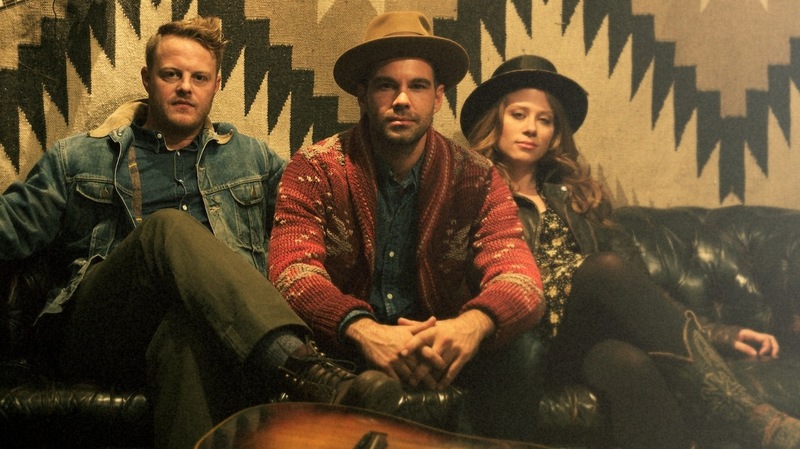 The Lone Bellow's latest album is Then Came The Morning. Singing in harmony is an intimate exercise, not least because it often requires singers to change their voices in order to better blend with their counterparts. Kanene Pipkin grew up harmony singing, but says the first time she sang with her bandmates in The Lone Bellow, she noticed something unusual: She didn't need to alter her voice at all. The Lone Bellow's newest album, Then Came the Morning, is out Tuesday, and the members — Pipkin, Zach Williams and Brian Elmquist — joined NPR's Rachel Martin to talk about it. Hear their conversation at the audio link.